Gatlinburg, Tennessee is remarkable for its countless attractions and entertainments, and high on the list is Ripley’s Aquarium of the Smokies. Aquarium of the Smokies is the most visited aquarium in the country, and is voted #1 on TripAdvisor. Many people returning to Gatlinburg to vacation put the aquarium on their must-see list for a repeat visit, and it’s no wonder – the place is hard to forget. 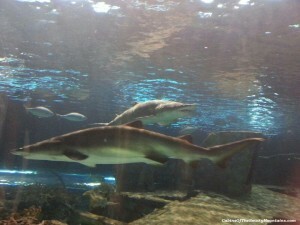 Note: guests of Cabins of the Smoky Mountains receive One FREE Adult ticket to Ripley’s Aquarium of the Smokies. Ripley’s aquarium in Gatlinburg creates several different marine environments, from deep ocean to shallow lagoon, to coral reef to shoreline, as well as an Amazon Rain Forest teeming with freshwater life and with all the colors of the rainbow on brilliant display. 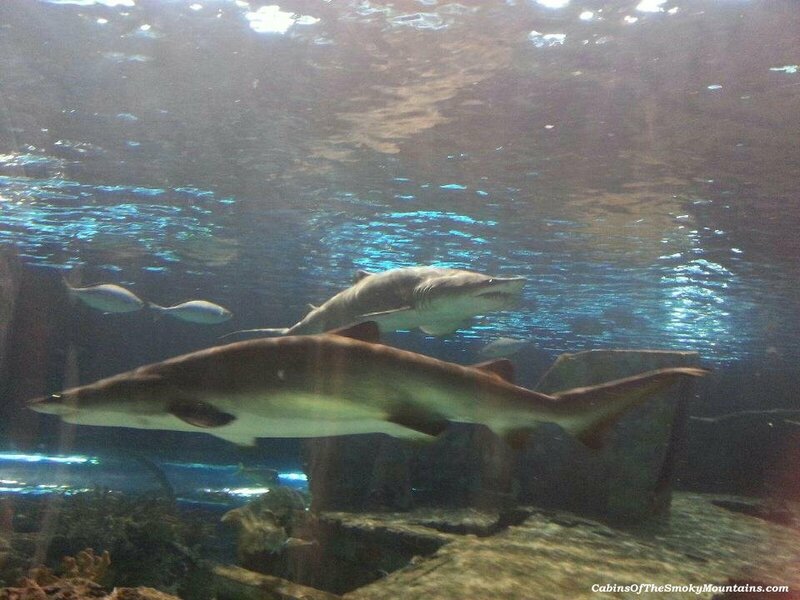 At Shark Lagoon, an underwater glass tunnel immerses humans deeply into ocean life as well as bringing them face-to-face with a lot of large sharks of different types. Visitors can ride a 340 ft. moving glide-path that travels the tunnel in this largest and most popular of the aquarium’s environments. Penguin Playhouse offers more glass tunnels, for crawling this time, below the water with a colony of African penguins in their own habitat. Visitors can break surface to join the birds topside on their private beach for some nose-to-beak interaction. It’s a guaranteed smile-maker. The Gatlinburg aquarium offers spellbinding fun for all ages, and children are especially well catered for, with many opportunities to touch and explore the world of sea and shore. Stingray Bay offers the chance to pet the rays as they glide by in the shallows, a safe and harmless practice. Less harmless is the exhibit of deadly but beautiful creatures living in the Gallery of the Seas area. But more petting is allowed with the horseshoe crabs in the Discovery Center, where kids also learn fun facts and can make use of classroom time, as well as play in an interactive playground and solve puzzles. While Aquarium of the Smokies is a feast for the eyes and a dazzle of movement and color, it’s also a breathtaking educational experience and caters to learning with instructors on hand at each exhibit. 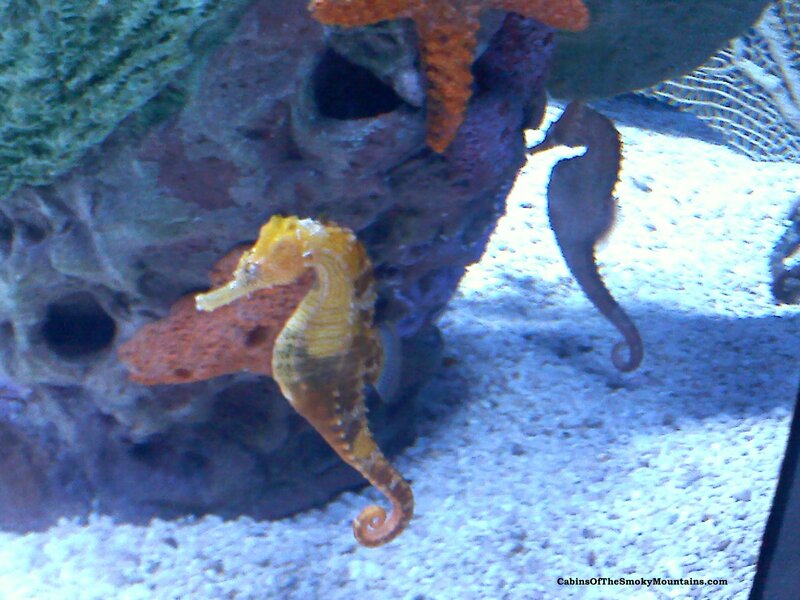 The aquarium welcomes school groups and offers a homeschool rate also. 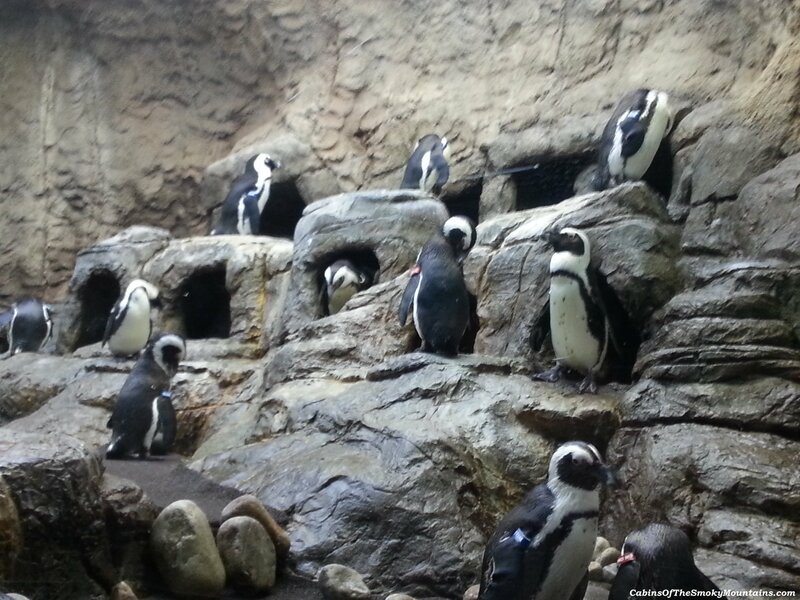 There are opportunities for group events at the aquarium such as weddings and parties. Many special experiences such as swimming with the stingrays or taking a tour of the impressive engineering system can be arranged by reservation. Visitors can even sleep at the aquarium, either setting up Family Camp in Penguin Playhouse for the night, or dropping the kids off for the sharks to babysit (!) in the Sleep With the Sharks group kids adventure and sleepover. Ripley’s Aquarium of the Smokies is open 365 days a year, from 9 am to 11 pm through summer and closing only slightly earlier through winter. Located at Traffic Light #5 in Gatlinburg, the aquarium offers so many activities that it’s best to study the web site beforehand. You can also book tickets online. Call 888-40-1358 for more information. Ripley’s Aquarium of the Smokies from Ripley’s Believe It or Not! on Vimeo.